After some unexpected car problems and my plans foiled once again… we ended up at Pearl Castle. I was surprised that there were still so many people there at 10pm and more people came in after us. This was at the Continental Square location. I love how they have a lot of restaurants there now. Our first choice was going to be Deer Garden but they had a line up too. Seafood fried udon. This came with some kimchi and a lot of veggies. The kimchi seemed kind of random though. Black pepper chicken on rice. There is chicken underneath that pile of veggies!!! It was like deep fried chicken thigh but covered in sauce. I was expecting a less watery sauce but it definitely had a lot of black pepper flavour to it! The chicken was also very tender but the crispy skin didn’t look very appetizing now that it was drenched in sauce. The portion was pretty big too but it was mostly veggies and very filling. Apple curry with pork chop. My matcha with mocha bbt! I was surprised that the top was covered with mini marshmallows but it was a nice touch. There might have been too much mocha flavour though since I didn’t taste the matcha this time. Floating Ice. This didn’t really have much flavour to it but I think it was suppose to be peach. This was the Young Girl’s Dream. 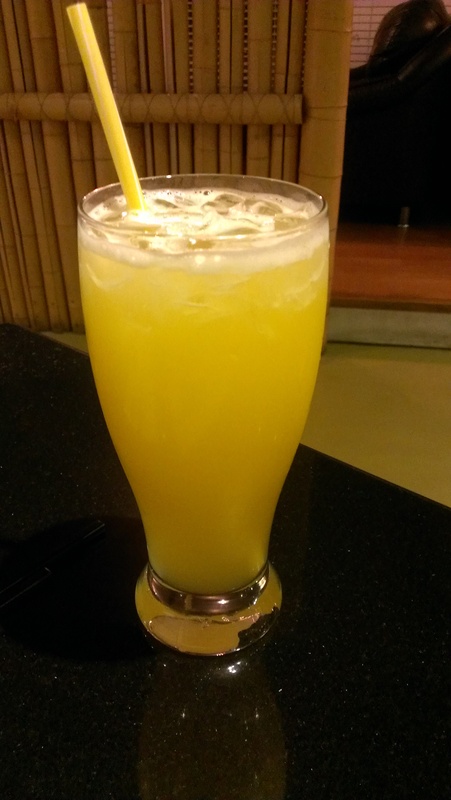 It looked really nice and we agreed this was the best drink. Not quite sure what was in it but there was soda and grenadine? We got my friend a cookie card from Mrs. Fields cookies. =) We were too full to eat it after though so he just took it home. We could smell the sweetness from it though! This was a 7″ milk chocolate chip cookie. The food was good and reasonably priced and their drinks are getting fancy! No wonder there’s a line up. For some reason I felt that this one was better than the one at Richmond Centre but I’ll have to come back again sometime to confirm that! This entry was posted in Food Reviews and tagged bbt, cookie card, Mrs. Fields cookies, Pearl Castle, Taiwanese. Ah another visit to Beefy Beef Noodle. This was probably the latest “lunch” I’ve ever had at 3pm… but there were still people eating there so it wasn’t too awkward. I hate eating in an empty restaurant. I had the kimchi and beef fried rice. I liked this because it wasn’t too spicy. I had one at Pearl Castle before and it was SUPER SPICY and I like spicy food but I could only eat like half of it :S However there wasn’t much kimchi in it either. With all the appetizers we ordered I only managed to eat half of it though. 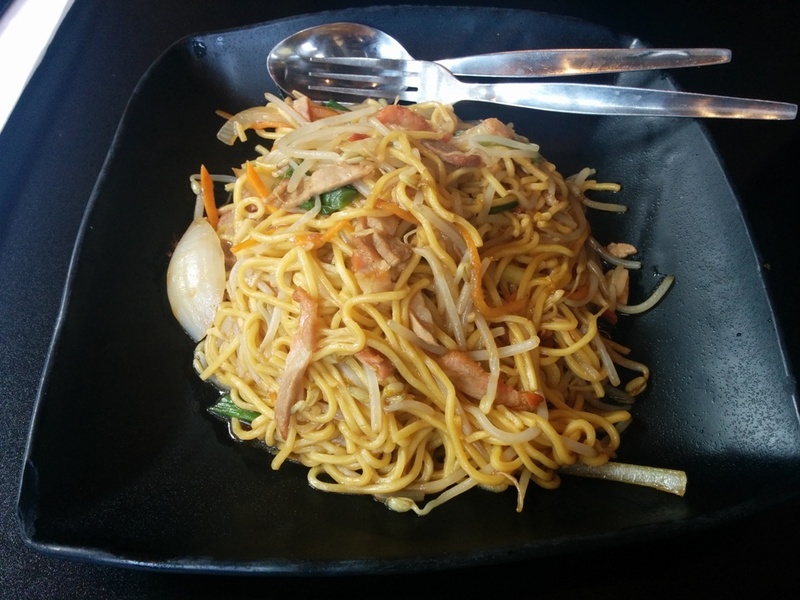 This entry was posted in Food Reviews and tagged Beefy Beef Noodle, Taiwanese. Dropped by Well Tea after two exciting games of lazer tag! It’s buy one game for $8.25 and get one free on Wednesdays! I forgot how much running around there was to do and it was really hot inside! So we refreshed ourselves with some bbt afterwards and I got an ice plate. This cost about $4.50 and you have a choice of three toppings so I chose the green mango, coconut jelly and pearls. They also offered toppings like tapioca noodles (no idea what those are), condensed milk, grass jelly and chocolate syrup. For an extra $0.75 cents you can add another topping. I like sour things so I really liked the green mango although I’m not quite sure what’s in it since it’s not fresh obviously. It was in a gooey syrup but it went well with the ice. Too bad the ice isn’t flavoured like at Frapped Bliss though! They have the best shaved ice =) I was happy that there was a generous portion of toppings though. This was my friend’s honey lemon green tea with coconut jelly (say hi to Totoro in the back!). There was a slight bitter after taste from the tea I think so I didn’t really like it that much and I usually go for slushes anyway. Anyway Well Tea is a nice hang out place for drinks along with all the other bbt cafes out there in Richmond. This entry was posted in Food Reviews and tagged bbt, Ice plate, Taiwanese, Well Tea. Some sorta tofu in soup? I didn’t try all the food but the consensus seems to be that it was good? As in typical Taiwanese cafe stuff nothing extraordinary but it’s one of those places I’ll always end up going to. 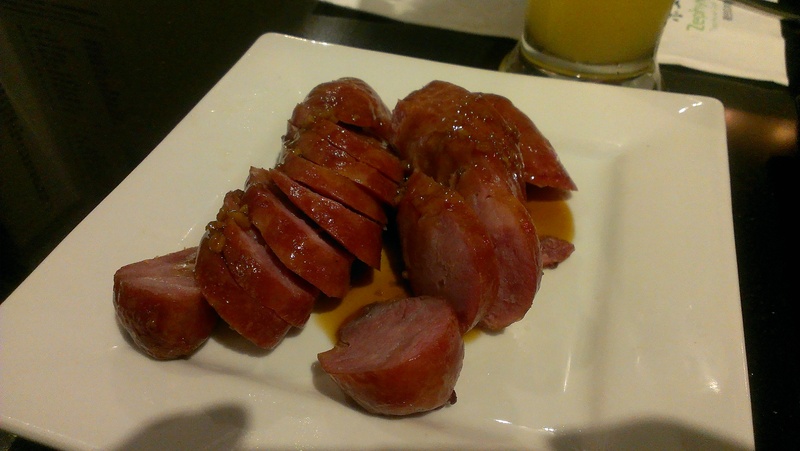 This entry was posted in Food Reviews and tagged bbt, Bubble World, Taiwanese. It was finally sunny and warm in Vancouver! We decided (more like I decided) on a whim to try What8ver Cafe in Union Square for their honey toast box but sadly when we got there it was closed :( I guess they’re closed on Mondays. So we decided to go around the corner to Bubble World instead. We got there around 3:30pm so it was really empty. They have very spacious booth seats! They also had air conditioning which was much appreciated on a “hot” day. Since this was more for a mid-afternoon snack, we ordered some stuff to share. First up we have deep fried salty and peppery chicken nuggets! These must be ordered at every Taiwanese place! My friend and I shared a shrimp and egg fried rice. The presentation was very colourful and cute. This had a lot of shrimp, corn, peas, eggs and carrots. It was a bit salty though but quite tasty. My other friend had a green apple calpis slush. This was my milky oreo slush! It was super thick and sweet and there was a lot of crushed oreo in the slush. So much oreo that you actually have to chew it when large chunks come up in your straw. My friend ended up using the spoon to scoop it out and eat it haha. I saw some kids at another table using their spoon to eat the slush and I thought it was a little weird that they weren’t using the straw but I guess it was just thick enough for a spoon! Actually I really liked that there was a lot of oreo in it. The drinks cost $4.95 and they were really big too. I enjoyed my first visit here and the food was pretty good. I’ll definitely come back to try other stuff. This is a good substitute for places like Pearl Castle and Well Tea. Another day of eating out! This time my friends and I went to Well Tea. It was quite empty when we arrived around 6pm and we quickly got a table. Since this was a Taiwanese place we just had to order some deep fried appetizers. :) We got some deep fried squid and deep fried chicken thigh. Basically anything deep fried is good anyway! The deep fried squid came with this sweet sauce as a dip and it was really good! The squid wasn’t too chewy either and the chicken thigh was crunchy yet moist. This was some kind of honey garlic pork ribs? I tried some and it was sweet but it had a lot of bones so I don’t think I’d order that. Also my friend found a hair in it and had to send it back … but they replaced her food quickly enough. 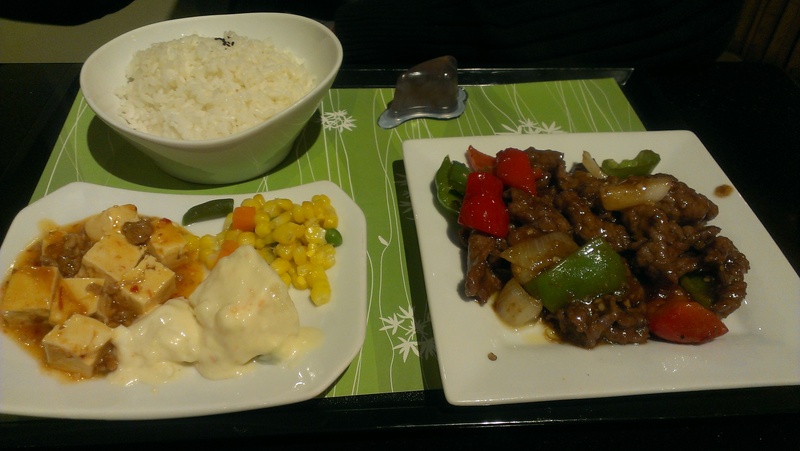 One of their teppanyaki dishes with beef and some veggies. 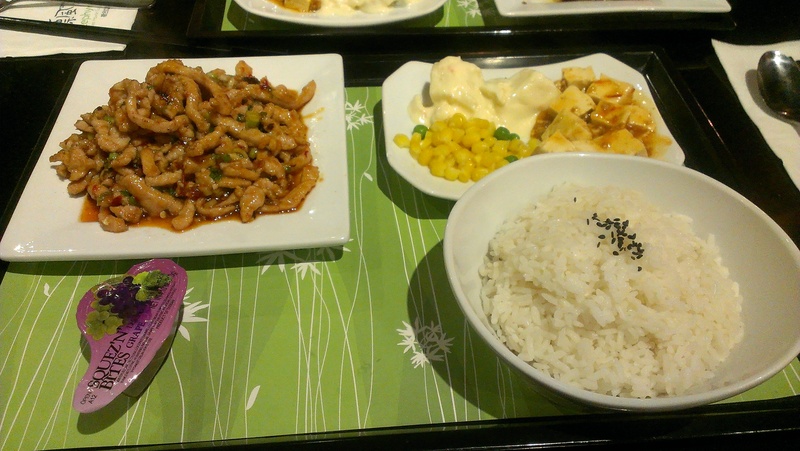 It wasn’t that special and I don’t like how they used the baby corn instead of just regular corn. Chicken nuggets with rice! Chicken nuggets were good. A friend commented that they were quite salty but I thought they were fine. Champagne grape bbt with pearls. It just tasted like grape juice. I think the “champagne” was just to make it sound fancier but I liked that it didn’t taste like grape medicine. This was the miso teriyaki chicken fried rice. We all tried some of this and liked it a lot. Hot passion fruit bbt no pearls. It was a nice place to meet up with friends for some drinks and snacks. I love the deep fried chicken nuggets! The girls at the next table were celebrating someone’s birthday too. However I noticed that they didn’t offer us any tea or water… so are we all suppose to purchase our drinks? It also wasn’t particularly outstanding from all the other Taiwanese cafes in around either but I’d go just so I don’t end up at Pearl Castle all the time. This entry was posted in Food Reviews and tagged bbt, Taiwanese, Well Tea.